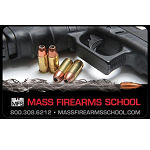 Purchase a Mass Firearms School, $100 gift card. Finding the perfect gift for someone isn’t always easy. 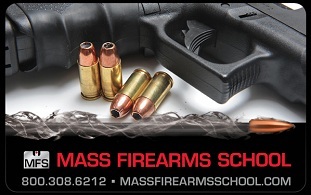 Mass Firearms School has an incredible selection of products, classes and other services. Whether it’s a birthday present, holiday gift, employee reward, a gift to celebrate a special occasion, or a simple gesture of appreciation, an MFS Gift Card is the perfect present. This Gift card may be reedemed for any product or service we offer. ***If you would like a gift card for another denomination, simply email us at office@massfirearmsschool with your request.